History has repeatedly shown that basic rights and principles cannot be altered or reduced without opening the way to tyranny. 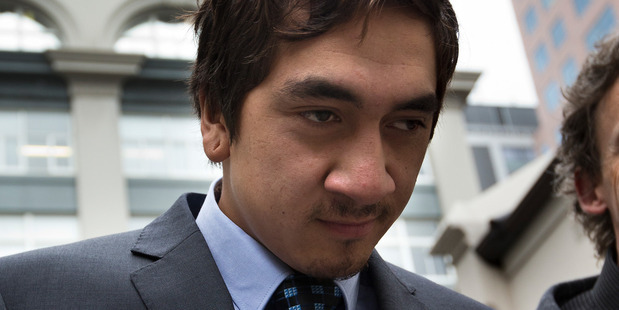 The recent pitiful judicial decision to exonerate the Tainui Maori King’s son from criminal offence is a case in point. It is just another of the almost daily occurrences that shows the country’s continual slide into separatism. Special treatment before the courts as in this case, the appointment of unelected and unaccountable Maori representatives to numerous local body committees on bogus claims of partnership and the payment at the taxpayers’ expense of millions of dollars on spurious Treaty grievances are just a few of the examples that endorse the fact that 85 per cent of New Zealand is held to ransom by a Maori iwi elite who are interested only in fulfilling their own greedy objectives. It is ironic that in New Zealand this iwi elite and their supporters are hellbent on establishing racial separatism and race-based privilege at the same time much of the rest of the world is trying to establish democracy. Their efforts will ultimately fail through the contradictions in their own policies but it will not be before the process produces conflict and probable bloodshed. THE RORTS AND CORRUPTION OF THE TREATY “GRAVY TRAIN” INDUSTRY WILL CONTINUE UNTIL NEW ZEALANDERS SAY ENOUGH IS ENOUGH. Our once blessed and peaceful country is in for a rough future because of the apathy and complacency of its population who lack the courage to stand up to the insidious encroachment of racism. Whatever happened to Governor Hobson’s “He iwi tahi tatou” (“Now we are one people”)? If we do nothing to prevent this loss of democracy and the principles of equality, tyranny will prevail. There just seems to be no end to it. I’m starting to feel so helpless because I’ve been ‘talking’ to anyone who would listen since 1995 and nothing is changing. In actual fact it continues to grow worse and goodness knows where it will all end. I know we MUST do something but if we don’t all group together and do it en masse I just can’t see anything changing for the better. We need a Government who has a coalition partner who will have racial equality under the law as their bottom line. We must all be treated the same otherwise we are doomed. That sounds rather melodramatic but it’s a fact, like it or not. Yes, of course but I note that there are still only 525 people who want the 1Law4All e-mails. Is there any evidence of this ‘movement’ getting traction? I hope that there is and I would be delighted to see it. money and land which is not theirs from all of us. It is normally called stealing or extorting under false pretenses. Can elite also mean , The ones at the top ! A lot of Maori don’t have the flash house and car, where is all this money going ? or are they just driving the old Junker just for show. I think the elite are getting all the money and just giving enough out to keep all of them happy and I say it be schools and Health , just like the Government does for all of us. Pretty much what Helen said, although I have been concerned about this issue for much longer. I saw the beginnings of it in the late 60s, and it is accelerating exponentially. Even with the best intentions in the world, privilege on the basis if race for anyone is a recipe for social disaster. I am not at all sure that it is not too late to avoid things getting really nasty. I do hope that I am wrong about that. I air this matter with people I know when I can; gently at first with those of a more politically correct persuasion, but the statement “do you believe in equality under the law or not?” ususally gets them thinking…. Very well said and the beat goes on. As the government does not seem to act on referendums and do not adhere to election promises …. what’s left? It seems more than 90% of New Zealanders have had enough, but there is no avenue to travel to resolve this. There must be a way to use the internet to make some change. I’m sure Kim Dot Com has some ideas???? Really? You did find out which other party he’s in bed with didn’t you? He’s not going to be saying anything that might get his sheets dirty till after the election, if ever. It was a tongue in check comment. But he seems to be a clever guy with misguided morals. is 1Law4all a political party? if not! who should people vote for who don’t want to see apartheid developing in our fair land? Word from the Electoral Commission is that we should hear next week some time on the outcome of our application to register. As to your other question – keep an eye on the front page of the 1Law4All website for news and updates. I would suggest that you have a look at the Conservative Party website. The removal of all racially based legislation is one of their aims. I think that the party needs to be seen on tv. At minimum, needs to be heard on radio. No-one that I know is aware of 1law4all. Good news or bad news, lets get out there. do you think we haven’t tried? As far as the media are concerned, we don’t exist. They ignore any media releases we send out and we can’t afford to pay for air time. Any more suggestions? cos we’d be glad to hear them! Yes, I believe that many conservative and middle of the road citizens have had a gutsful of racial preference promoted or permitted by National, Labour and the Greens. I say the time for just talking about it is over and an election is coming up. In past elections I’m sure many of us have been in despair. In past elections I’m sure many of us have been in despair. None of the major Parties begging for our votes seemed to represent our concerns. As I have said previously, to anyone who will listen, the only immediate solution is to vote Conservative at the next election. They are established, they have funds to finance their programme, and the elimination of racism is their absolute bottom line if negotiating with National. Binding referenda is another policy which most of us would agree with. National are going to need every seat they can get, and this is a real opportunity – I cannot see any other! If NZ citizens want their values and concerns represented in Parliament then I suggest that we’ve done the talk – now it is political action which is needed. Read the Conservative’s four election platform promises – one is to end race based privilege. Christine Rankin is the party manager, and she is a block of common sense. I’m going to look into it more. But yes, most of our friends have no idea whats going on, despite the Auckland Council’s Unitary Plan changes! For people who are fed up with the liberalism and racial preference and consider themselves on the conservative side of the political spectrum the answer should be obvious on making your vote count. I was amazed to read that there are only 525 people on your mailing list, how can we get more? Unless there is an unexpected result in the coming election I believe that within the next ten to fifteen years will have reverse apartheid in New Zealand. I shouldn’t feel this way but as I probably have only about another 15 years left I hope this doesn’t happen in my lifetime, but in the present situation it seems almost inevitale. But if those 525 people send off an email like I did (the article on Ngai Toa’s $10 million pay out) to all on their mailing list and they were asked to do the same and so on then watch the 1LAW4ALL membership grow. Maybe we could pick a day (before the elections) where everybody who is concerned about where this nonsense is going could meet for a peaceful show of strength gathering at their local post office or welfare office. Then next year we could change the day to say Waitangi Day. we have just come home from Hawaii and they are having a similar problem with a small but very vocal group trying to get a dual government set up there. They have been having a group going around the different Islands getting a feel of the public’s opinion but the same people are attending all the meetings and dominating them and if anyone supports the status quo they are shouted down and abused. Yes, a great letter Tom! I see that there were many supporting comments in this mornings (Sat) Hawke’s Bay Today. I will be following up with something next week on the issue.